Pros: Bold visual style makes it feel like both a fun magazine and a serious educational tool. Cons: So far, content is limited to only three short issues of the magazine. 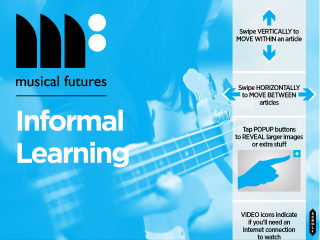 Bottom Line: An exciting launchpad for engagement connects to a vibrant, growing community of music teachers.